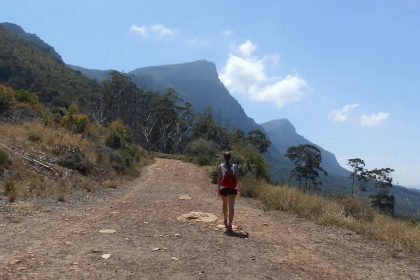 From the moment I learned that gorillas could be visited in the wild by going on a trekking experience, I’ve wanted to do it. When I finally made the move to Cape Town I knew that my first big trip on the African continent would be to go and visit these magnificent apes. And although I’m still processing the whole experience, gorilla tracking in Uganda was the single most incredible experience of my life. There is no other wildlife encounter that could even come close to that. I did the trek in the Bwindi Impenetrable forest, one of only two areas left that host these critically endangered mountain gorillas. Gorillas can only be found in the DRC (Democratic Republic of Congo), Uganda and Rwanda. 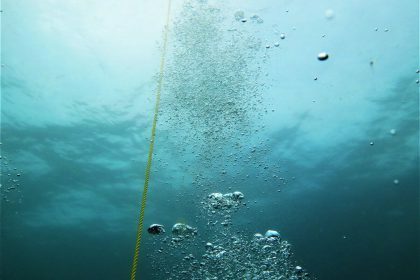 Approximately 700 are recorded and known. 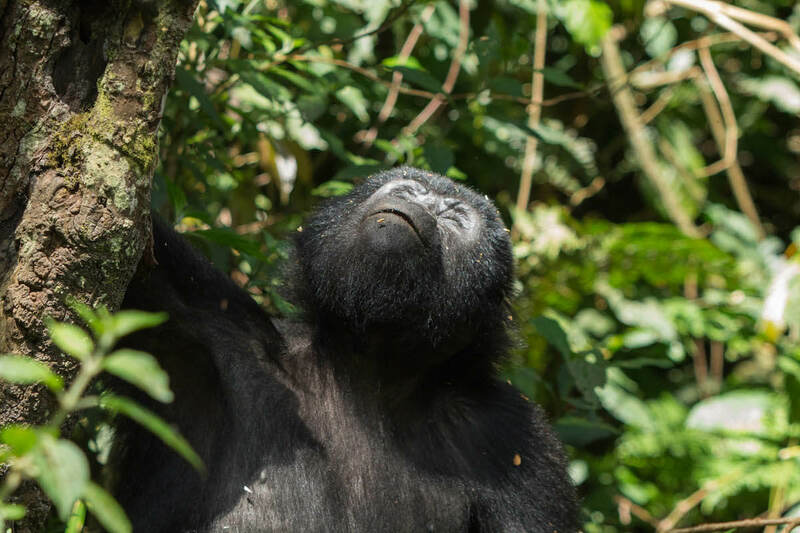 Of those, approximately half live in the Bwindi forest and the other half in the Virunga volcanoes area which includes a section in Rwanda and one in the DRC. 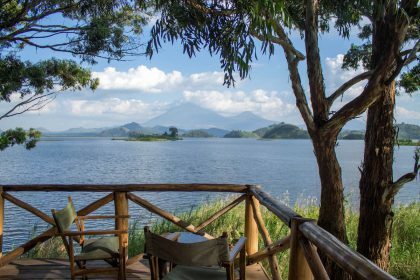 The area is joined by the Mgahinga Gorilla National park which is in Uganda. That total area is known as the Volcanoes area. I knew that the day would completely blow me away but it even so it managed to far exceed my expectations! 1. Pick the destination, not the gorillas. 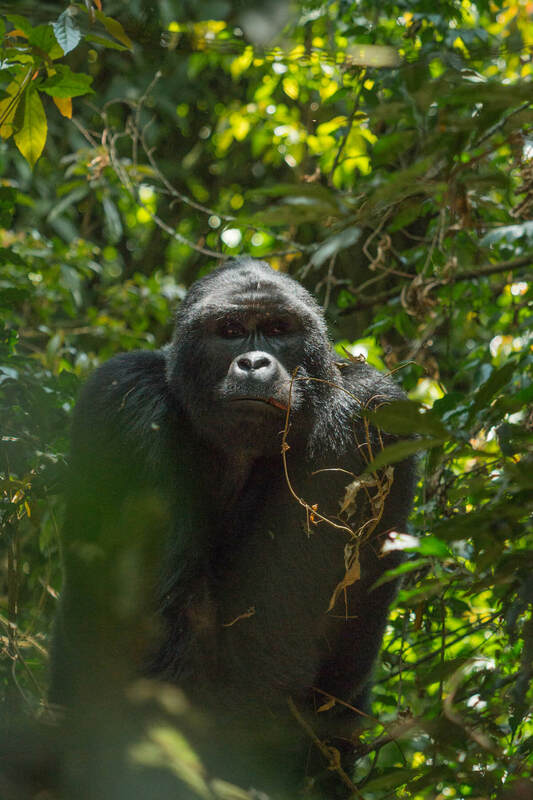 Gorillas can be seen in two main areas so pick the destination that you are more excited for rather than the gorillas. 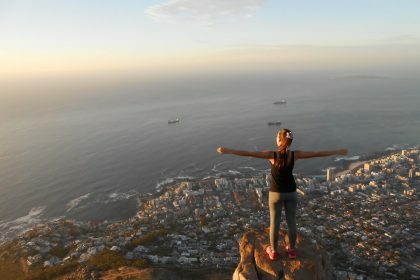 There are of course two major factors I would keep in mind when choosing which country to go to. The first and most obvious one is price. In 2018 Ugandan permits cost 600 usd per person while in Rwanda prices escalate to 1500 usd per person. In the DRC the permit costs only 400 usd but the country’s safety record is very poor currently so I wouldn’t even consider it an option for the time being. 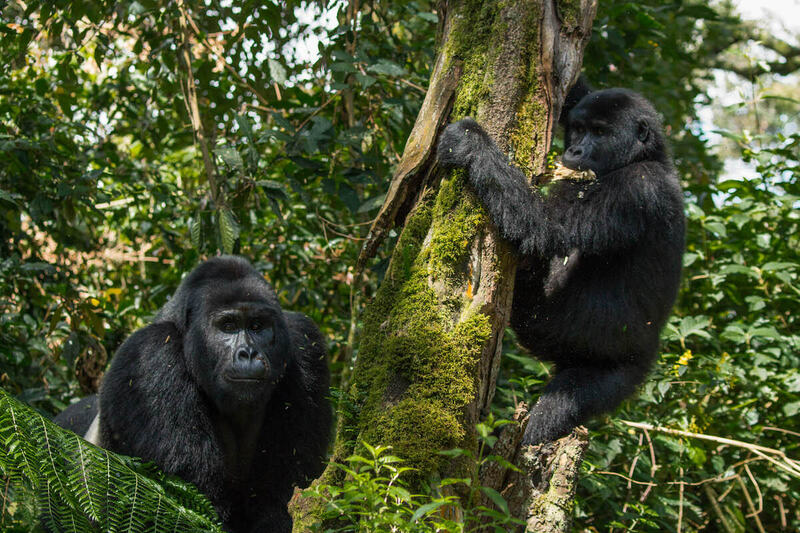 All permits will allow you 1h with the gorillas, after you have trekked to get to where they are which can take anywhere from 10mins to 4 hours to do. The second factor is your level of fitness, the Bwindi forest starts at 1600m above sea level reaches 2600m at the top. 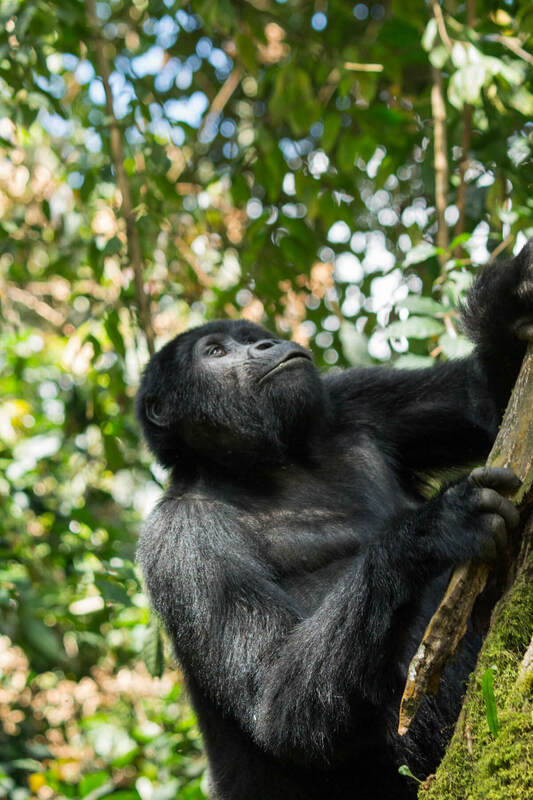 You never know where the gorillas will be so be aware that you can easily be out of breath at higher altitudes, even though the hike itself is relatively easy. 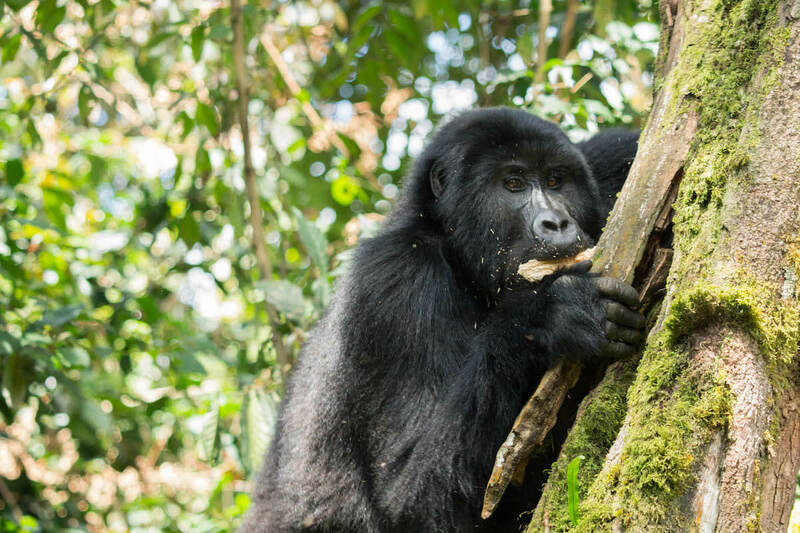 Bwindi also happens to be a very dense and thick forest (hence the name “impenetrable”), which can make it even more challenging. Volcanoes area apparently requires slightly less in the way of fitness but can be muddier. That said, all of our trackers were doing the hike in rain boots – as a point of comparison. You don’t know what to expect. Pay close attention to your guides and rangers, they are professionals and know more about the gorillas than you will ever know. That idyllic image of a group of 7-10 gorillas all in one place in an opening in the forest that lets you enjoy them for 1h straight is more than just unlikely. They move separately, individually or in little groups inside their family group. You might be lucky enough to see 2 or 3 at a time only and usually you will be trekking and following them as they are not sitting still in one place for very long. 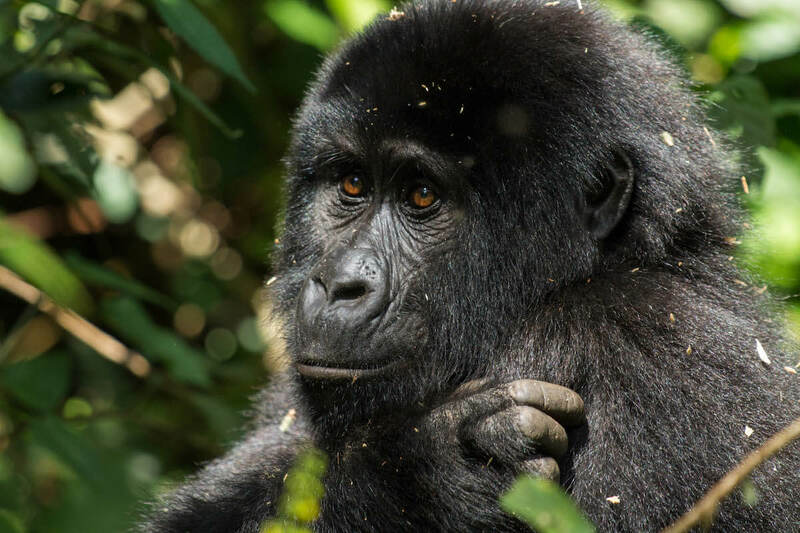 If you are organising the trip by yourself like we did, you won’t be organising your gorilla tracking permits through an agency but instead directly with the Ugandan Wildlife Authority. The process is very easy and largely stress free. Request a variety of potential dates for availability, pick the date and section that works best for you and pay the invoice. 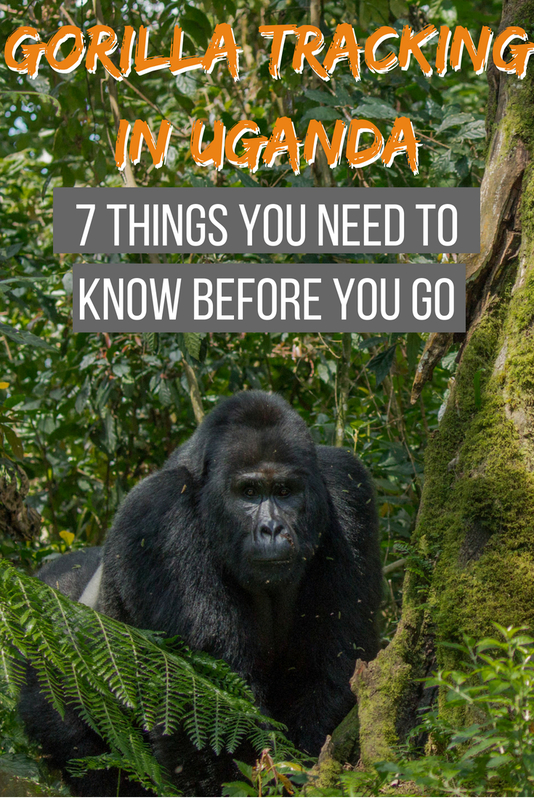 We were told the permits had to be picked up from the main office in Kampala, however, we were flying into Kigali for our two-week itinerary in Uganda and Rwanda so Kampala was very far away. 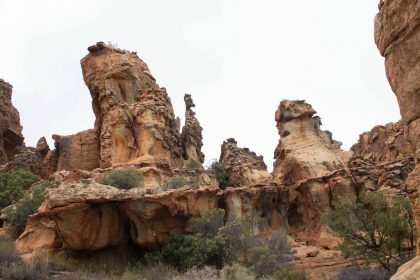 Luckily the lodge where we were staying had no problem organising the pickup for us, and the permits were at the National Park when we arrived. Make sure you send follow up emails to make sure this is done for you! We had to check in repeatedly. Make sure that you have enough batteries and memory cards to leave your camera working fulltime for an hour or more. It is handy if there are two of you, so that one of you can record videos and other can take pictures. Although I was in charge of photography for the day, my telephoto Lens (link hereee) could zoom in way closer and with better image quality than the iPhone 7, so I only recorded a few of short videos and focused on photos, I lost many precious seconds switching from one mode to the other. 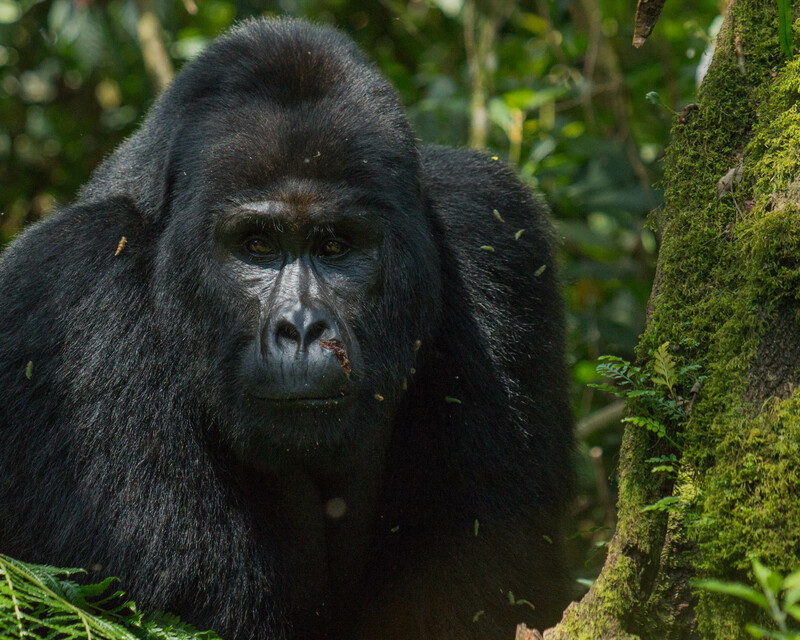 You will miss shrieking and other incredible moments like when the silverback males as well as little baby gorillas beat their chests to assert dominance. If you can have a Go pro on your head that would be an amazing add on. Try hard to stay in front of the group of humans as you trek, that way you will be in a better position to see the gorillas. If the gorillas happen to be in an opening in the forest stay at the edges of the human semicircle to get the best angles. I know it’s pricy. Believe me, I only did it once because well… I couldn’t afford two permits. But if you can postpone your trip a couple months and save enough money to be able to do it, postpone it. I enjoyed the experience but I was also taking pictures, trekking in the jungle and trying to take it all in. 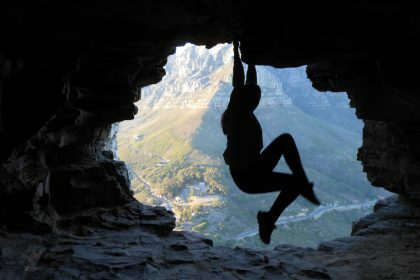 It is way too exciting to be calm during, and have all your senses connected for the whole day, it is exhausting. After one night sleep we, and everyone else we met in every lodge we visited, thought the same: if we could afford it again we would have done it twice. Even though permits sell out months in advance. Let us dream! 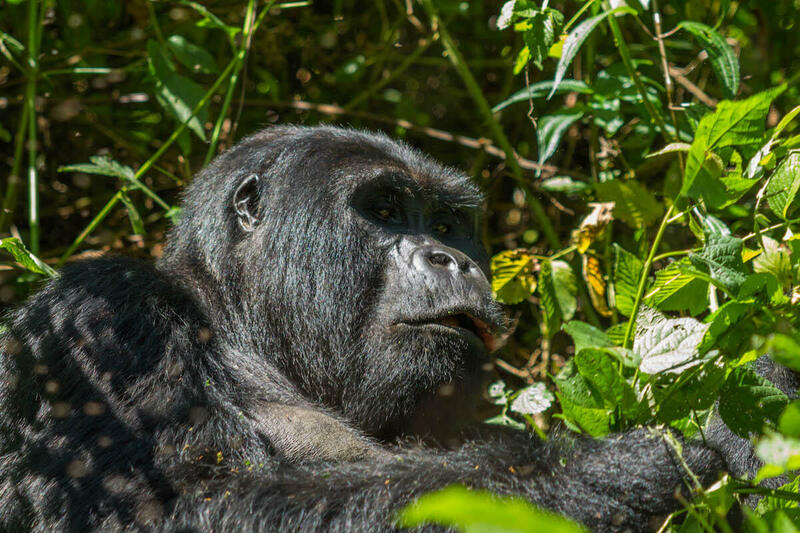 There are two different ways you can witness gorillas in the wild. 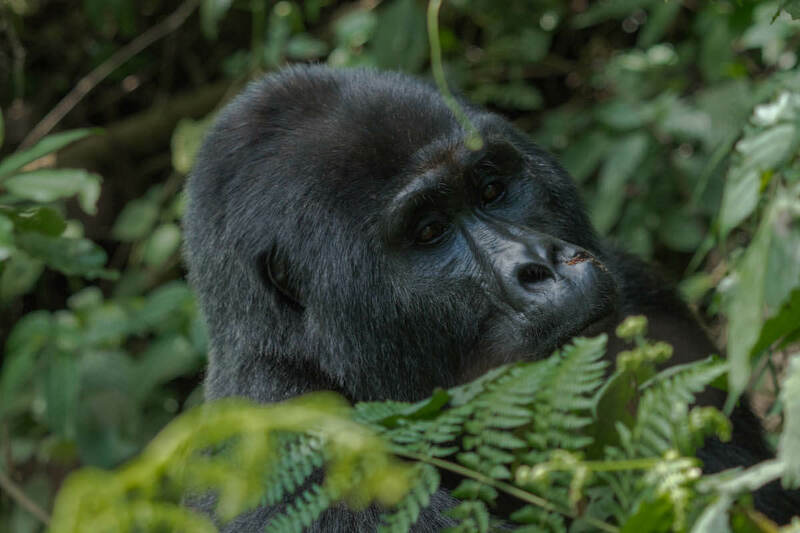 The most common and well known is the gorilla tracking, which we did, but there is also gorilla habituation. 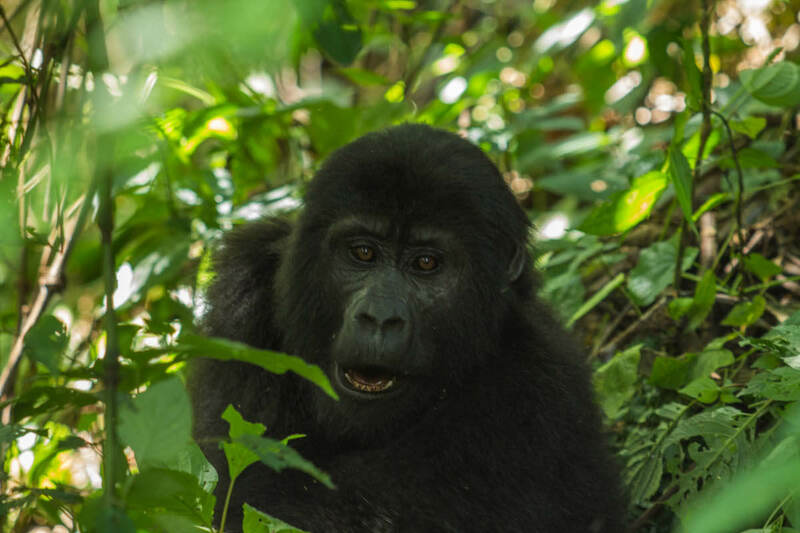 There are different groups or families of gorillas in the forests (both in Bwindi and Volcanoes area) and not all of these families are habituated to humans. They do this in case there is a disease carried by humans which spreads to the gorillas. Leaving some families unhabituated prevents all of these animals from dying in one go. The process of gorilla habituation to human presence takes place over 4 years until such time that the family is tracked daily. The habituation experience has a 4h duration. 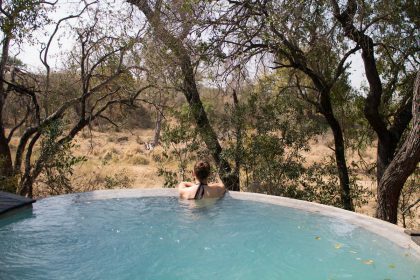 After our trek the guide asked our group if, after having done it, we would have done this 1 hour experience or the 4 hour habituation instead (for 2018 price is 1000 USD per person). 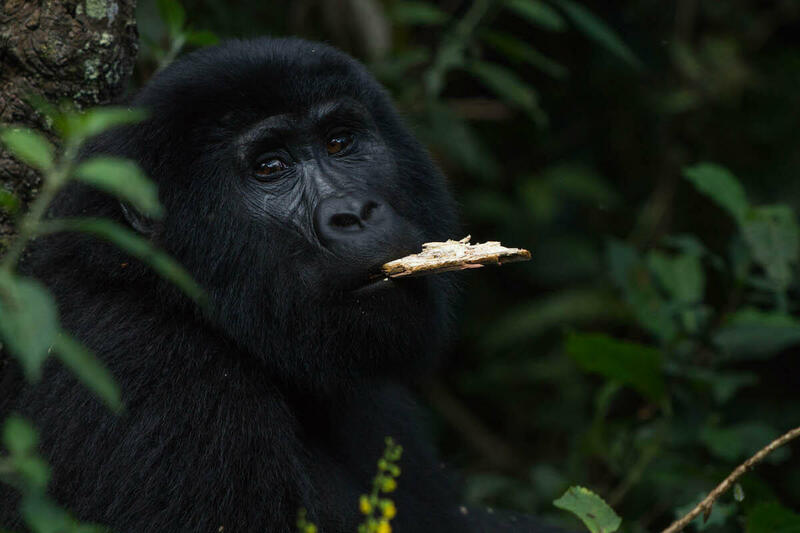 Naively, we all said the habituation but because those gorillas are not yet fully habituated to humans, they are more skittish and it is not as easy to follow them or to get half as close as we got. It is an important point to consider as we truly got incredibly close to them and they did not even flinch in our presence. Finally and most importantly: there is no other wildlife experience that can compare to gorilla tracking in Uganda. Hiking through the jungle and being so close to the gorillas, moving through the forest vines to follow them as they eat, play and fight. You truly come close to them. The whole tracking group were in awe observing their movements. It has been two weeks or so since I did the gorilla tracking and I still cannot believe it. It was an amazing experience for which I need new vocabulary. It was humbling. Life changing. And opened my eyes to yet another beautiful creature that we share the Earth with. 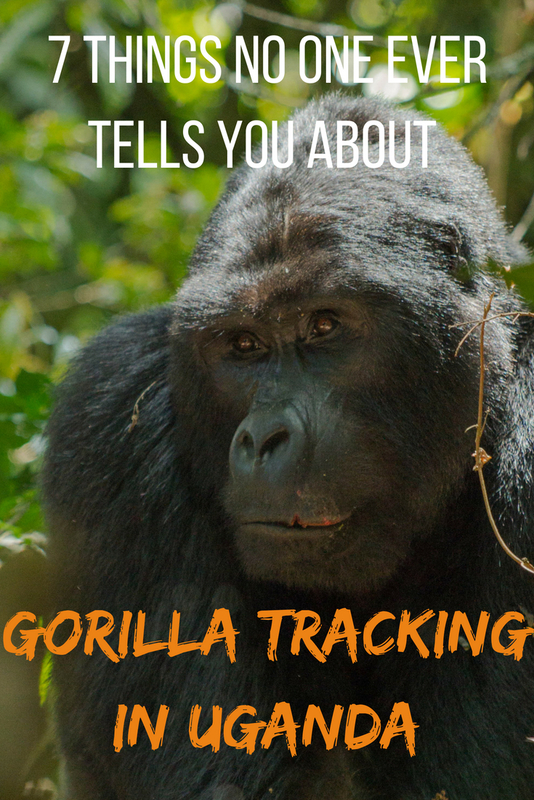 Have you ever gone Gorilla tracking? 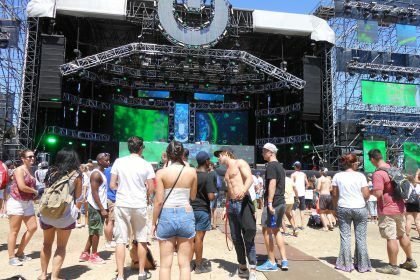 Did you know any of these tips before going?